So I decided to look at some of his other roles. Certainly I have no problem picturing him as Ironside, the wheelchair-bound Chief of Detectives, but I hadn’t realized that it ran for eight years, just one year short of the Perry Mason series. Also, I had forgotten that it takes place in San Francisco. Now that I’m a Bay Area resident, I have a fondness for TV shows set in San Francisco, and chuckle at how often they rejigger the geography to meet the plot requirements. Landmarks get moved, streets go in the wrong direction and inevitably someone has to go down Lombard Street. Truth is, it was mostly stock footage with actual filming done on the studio lot. Later, on television, Burr played a journalist on Kingston: Confidential in 1977. And the next year, appeared in the mini-series of James Michener’s Centennial. 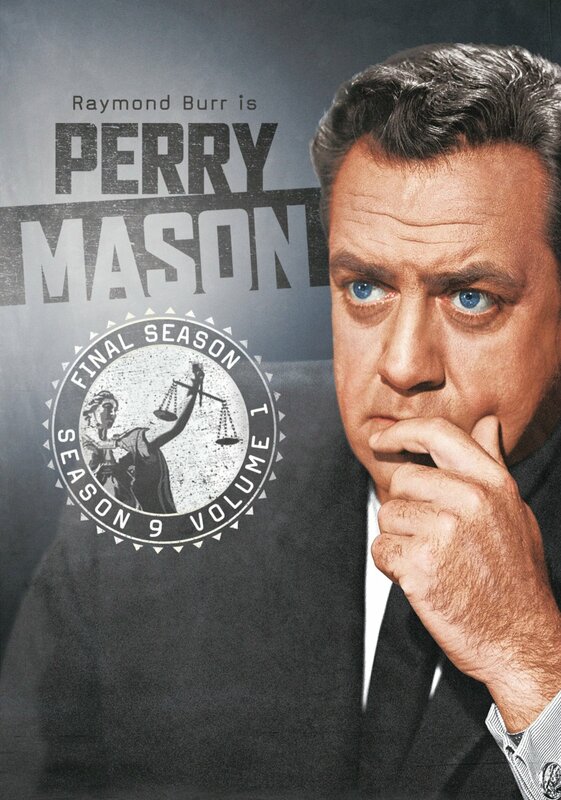 But he was Perry Mason to the end. In the August before he died he completed location work in Denver for The Case of the Killer Kiss, his 30th Perry Mason television movie. Before he was Mason or Ironside, Burr made a good living as a villain. His menacing portrayal of Jimmy Stewart’s suspicious neighbor, Lars Thorwald, in the 1954 film Rear Window, stands out. It is probably the best of his 90-plus film roles. He was a great bad guy. In Desperate, in 1947, he terrorizes an elderly couple with a large knife and ultimately falls down several flights of stairs to a spectacular and grisly death. In 1948 he was a pyromaniac thug, Rick Coyle, in Raw Deal. In that one he throws flaming cherries jubilee at a woman who accidentally bumped him in a night club. Also in 1948 he played a scumball private eye, J.B. McDonald, described by Film Noir Foundation documents as a “former cop bounced from the force, now performing scurrilous free-lance investigations.” Burr plays Mac as a breathy, oily creep who sports tacky ties and exudes overconfidence. With Rick Coyle already under his belt that same year, he quickly became the go-to creep of choice in Hollywood’s rising tide of dark crime films. On the Film Noir Foundation’s website Burr is quoted as saying that it wasn’t being typecast as a villain that troubled him, as much as finding fresh ways to interpret villainy. This is, after all, a guy who played creeps named Nick in three different movies. “I began to run out of ways of being bad,” he said. He also played in comedies with The Marx Brothers, Martin and Lewis, and Bob Hope, still portraying a heavy. He definitely had his humorous side, propping up a life-sized cut-out of Alfred Hitchcock waving, in his dressing room window during the filming of Rear Window, and appearing in character as Perry Mason defending Jack Benny on the latter’s TV show. He lost the case. For more contemporary appearances in a comedic vein see Airplane II: The Sequel (1982), and Delirious (1985). One of his oddest roles was playing the part of reporter Steve Martin in Godzilla, King of the Monsters! (1956), and in the 1985 remake. Both were Americanized versions of the Japanese film in which Burr’s performance was edited together with the Japanese footage. When filming, he said most of the other actors didn’t speak English and it almost drove him crazy trying to figure out what was going on. In the radio world, Burr used his talents to play both heavies and cops. In Pat Novak, for Hire, Jack Webb’s first dramatic radio show, he was Inspector Hellman, both nemesis and friend. He followed Webb over to Dragnet, where he was Chief of Detectives, alternately called Ed Backstrand or Thad Brown. As Thad Brown he crossed over to Dragnet’s first TV episode in 1951. His voice(s) also could be heard in guest appearances on other Los Angeles-based radio programs, such as Yours Truly, Johnny Dollar and a starring role in Fort Laramie (1956). For a while he was doing radio by day and theatre at night, notably at the Pasadena Playhouse, where he got much of his acting training. His performance as Henry the VIII in the drama Anne of the Thousand Days brought him particular critical acclaim. His Broadway debut, however, in 1941, was in a musical, Crazy With the Heart. Offscreen, Burr’s life roles were also varied and creative. At times he talked about how he worked as a ranch hand in Roswell, New Mexico; as a deputy sheriff; as a photo salesman; and even as a singer in nightclubs. In World War II he served in the United States Navy. But in Okinawa he was shot in the stomach and sent home. After his death, much of this was proven to be false or “unverifiable.” It seems he invented many versions of a fictional past. Some of it, such as several wives and the tragic death of a son (he only had one brief marriage and no son), was likely to cover up the fact that he was gay. In his life Raymond Burr played out many stories, some of them even real. But if you only knew him as Perry Mason you have missed something. Thanks for the trip down memory lane. I have seen Burr in many of various roles and always found his characters credible. but 90+ films — I’m sure I’ve missed a few. I do remember him in Godzilla, though. We have a bottle of red wine here from his vineyard and never miss a chance to renew our pleasure at a Perry Mason episode marathon or movie. 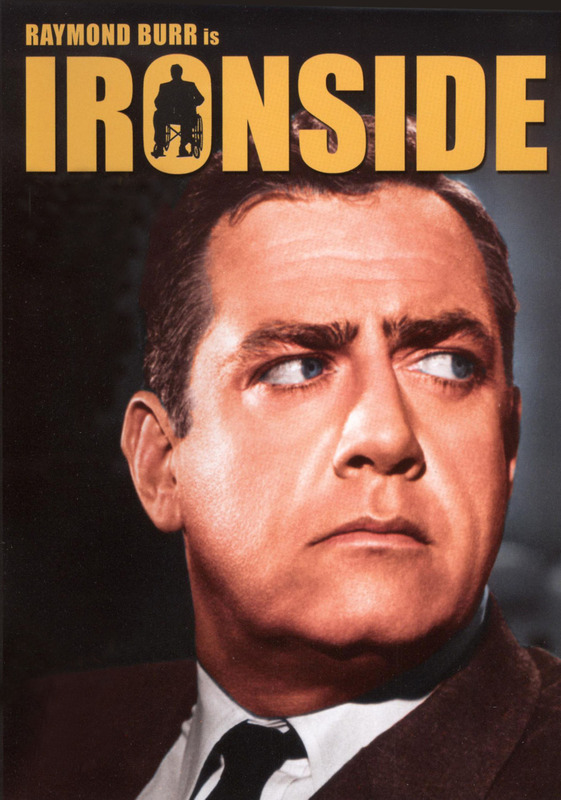 I am a big fan of “Ironside” and think Raymond Burr presented a more complex role than Perry Mason. A man who had to showed courage when confronted with a life-changing event, who sometimes was gruff, but also cared about the people around him, who helped a juvenile delinquent become a productive professional and showed how one could solve crimes without a lot of violence are the reasons that I love Raymond Burr’s portrayal.